October 17th 1973: the greatest disaster in the history of English football. All England had to do was beat Poland to qualify for the World Cup. They didn’t. They could only draw. Left on the bench that night was a now forgotten genius, West Ham’s Billy Parks: beautiful, gifted and totally flawed. Fast-forward forty years, Billy’s life is a testament to wasted talent. His liver is failing and he earns his money selling football memories on the after-dinner circuit to anyone who’ll listen and buy him a drink. His family has deserted him and his friends are tired of his lies and excuses. But what if he could be given a second chance? What if he could go back in time and win the game for England? What if he was able to undo the pain he’d caused his loved ones? The Council of Football Immortals can give him that chance, just as long as he can justify himself, and his life, to them. October 17th 1973: the greatest disaster in the history of English football. All England had to do was beat Poland to qualify for the World Cup. 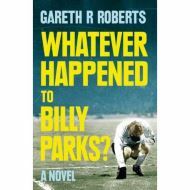 Left on the bench that night was a now forgotten genius, West Ham’s Billy Parks: beautiful, gifted and totally flawed. Fast-forward forty years, Billy’s life is a testament to wasted talent. His liver is failing and he earns his money selling football memories on the after-dinner circuit to anyone who’ll listen and buy him a drink. His family has deserted him and his friends are tired of his lies and excuses. But what if he could be given a second chance? What if he could go back in time and win the game for England? What if he was able to undo the pain he’d caused his loved ones? The Council of Football Immortals can give him that chance, just as long as he can justify himself, and his life, to them.